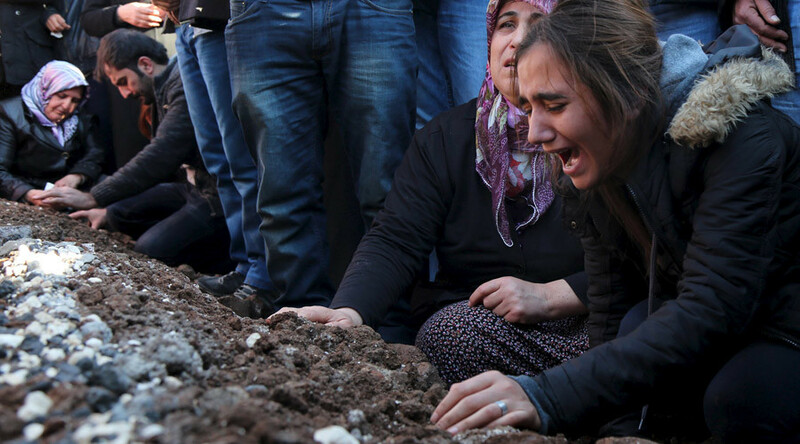 "Kurdish civilians, including women, children and elderly residents, have been killed during security operations and armed clashes since July 2015," the group said in a report released on Tuesday, titled “Turkey: Mounting Security Operation Deaths". While several such killings have been documented by HRW "in detail" through interviews with relatives and witnesses, "well over 100 civilian deaths and multiple injuries" have been recorded by local human rights activists, the international organization said. A full investigation is needed to determine precise numbers, it added. "The civilian death toll is likely to rise steeply in the coming days," HRW warned, citing "unprecedented military deployments to the region" and shelling of whole neighborhoods by Turkish military. "The Turkish government should rein in its security forces, immediately stop the abusive and disproportionate use of force, and investigate the deaths and injuries caused by its operations," HRW senior Turkey researcher Emma Sinclair-Webb said. According to the report, Turkey has failed to complete investigations of the 15 specific deaths documented by HRW, "despite a clear obligation to do so" under both domestic and international laws. "The Turkish authorities have a history of failing to carry out effective investigations into killings in the southeast, in particular in cases where state agents were alleged to have been responsible for unlawful killings," HRW said, adding that the European Court of Human Rights had ruled that the right to life had been violated by Turkey. Ankara is also responsible for making the "life for many people in southeastern towns and cities unbearable," Sinclair-Webb said. During repeated prolonged curfews imposed by Turkish officials on entire neighborhoods, locals have been left without access to food, and water and electricity supplies have been cut. "Wounded people have been denied access to medical treatment," the HRW report said, adding that Turkish officials prevented access by observers or media to the affected areas. 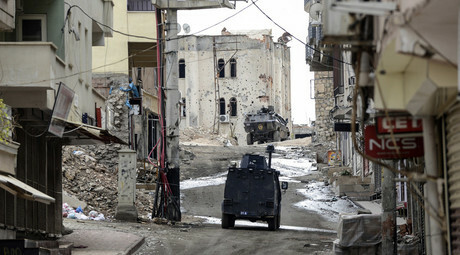 On Tuesday, Turkish tanks shelled Kurdish opposition targets in the southeastern town of Cizre, which has been at the focus of the government's military campaign, Reuters reported. While the army said that 127 Kurdish militants had been killed in a week of special operations, the pro-Kurdish Peoples' Democratic Party (HDP) said that at least 23 civilians had been killed in the violence. Tens of thousands have been forced to leave their homes in Diyarbakir Province, which has been under curfew for weeks amid clashes following an offensive in the mainly Kurdish region, CNN Turk reported, citing the opposition Republican Peoples Party (CHP). Turkish government forces have been involved in special operations in the region since peace talks with Kurdish opposition fighters collapsed in July. Members of the Kurdistan Workers Party (PKK), which is considered a terrorist organization by Turkey, the US and NATO, have been fighting the Turkish state for decades, calling for Kurdish self-determination.